This volume is an exhibition catalogue written to accompany a sixty-year retrospective of the work of Detroit, African-American artist Charles McGee at Eastern Michigan University. For over sixty years, McGee has created works of art in many media that espouse the equality of all living beings, black and white, single-celled and complex, and that demonstrate the energy, interdependence and life-force of these beings. McGee has also been tremendously influential as a teacher of students of all ages, enriching the Detroit art world by his activities as gallery director, curator, and member of the boards and committees of many Michigan arts organizations. His works are on permanent display in the Detroit Institute of Arts and the Charles H. Wright Museum of African American History and are in the collections of many other American art institutions. His many large public commissions are visible throughout the state. 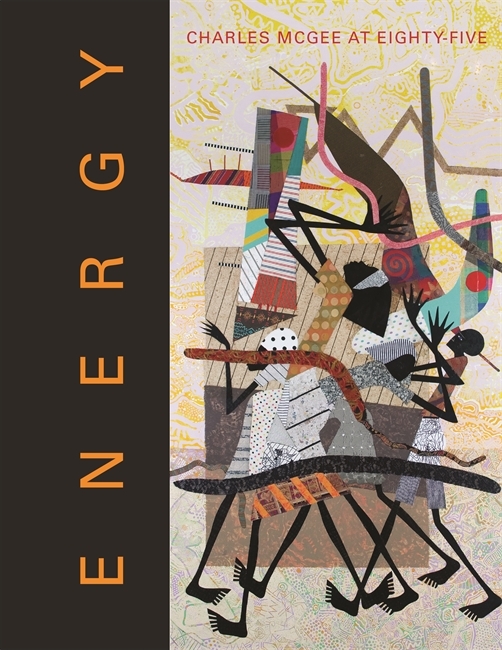 Energy: Charles McGee at Eighty-Five offers a detailed history of McGee’s work over six decades. Author Julia R. Myers chronicles his move from figurative art in the 1950s and 1960s, to abstraction in the 1970s, and back to the figure in the 1980s. In addition to the style and iconography of his work, the book also look at his art in its historical and art historical contexts, describing the impact that other artists and contemporary historical events have had on his work, including his relationship to the Black Arts Movement in Detroit in the 1960s. Myers consulted hundreds of articles published about McGee in Michigan newspapers as well as archival materials on Detroit artists and art institutions in the Archives of American Art at the Smithsonian Institution to produce this unique volume. Julia R. Myers is a professor of art history at Eastern Michigan University and the author of Completing the Circle: The Art of Ruth Weisberg.